In this Meet the Masters series, leading North American herbalists answer the question: “How did you establish a career in Herbal Medicine?” Our goal is to inspire and educate herbalists on innovative ways to make a living through herbal medicine. I am thrilled to share these words of wisdom from the Grande Dame of Aroma-Herbalism herself – Jeanne Rose; a true scholar, pioneer, and visionary of the herb world. My friends call me an “academic enthusiast.” I like learning, and I like finding the answers. I think that education is the cure for many problems. Education is a physical need and mental right; a gift open to all. I advocate knowing what you do and using what you know; developing a relationship with plants – using, writing, and talking about the herbs. I have had several completely different lives. First as a child from a small town, then in college as a Zoology major; graduate school in Marine Ecology; hippie chic in Big Sur; couturier during the Rock ‘n Roll years of the late ‘60s; herbalist and writer and teacher for 40 years; aromatherapy writer and teacher; and for the last 15 years teaching Natural Botanical Perfumery Seminars here in San Francisco. My herbal knowledge began with my parents. I grew up in California on an Apricot ranch where my dad grew whatever we needed. My dad who was born in Puerto Rico said plants had to have a purpose; they either fed your sense of taste, your sense of smell or your sense of enjoyment. My mother advocated the simplicity of certain herbs for her skin care. This knowledge was further nurtured by the books from the true founders of modern herbal medicine — the ‘mothers’ or ‘godmothers’, however you wish to name them; Hilda Leyel and Maude Grieve, and evolved with my own knowledge and the mastery of locally grown herbs. These two women wrote some of the most seminal complex books regarding herbs as medicine and medicinal herbs and how to use them. I had a personal interest in learning about plants. I was not thinking about a career at the time – I already had a career in science. In 1969 I had had a serious auto accident and I needed to heal myself in order to be able to take care of my child. I began to incorporate my childhood herb learning into healing myself of my injuries. This resulted in what may have been the first book in this ‘new age’ time – Herbs & Things, written in 1969 and published in 1972. Because of where I lived, Big Sur, and what I was doing as a Rock couturier, I had an opportunity to use my knowledge of herbs to help people with all sorts of problems including my own paralysis. Knowledge, love of learning, wanting to continue to learn, and being grounded in the foundation of knowledge and truth. These are the ways to establish a career in herbal medicine. 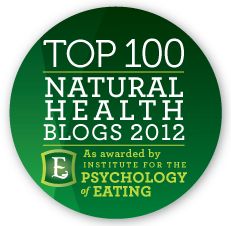 There is more to Aromatherapy and Herbalism than intuition. I tell my students that first you build a foundation in botanical knowledge, then the walls, and then put on the roof. It takes years for the acorn to root like the Oak tree. The last thing one does is to decorate the house. To study herbal medicine, you must first build a firm foundation in the basics; intuition is like the decoration and comes last – sometimes after many years of study. I teach a Basic and Advanced Herbal Studies Course for home-study; a Basic and Practitioner level Aromatherapy Studies Course for home-study, and I continue to teach seminars in person in herbs and aromatherapy every year in my home. Take real classes with good teachers who are hard on you. The more you learn the more you will want to learn. Take advantage of the opportunity to educate yourself. Read, study, and learn. Educate yourself every day in every way. Learn a new plant a week. Remember that the plants are there to help you; their essence is there to nourish you. Get to the core of plant medicine and aromatherapy by learning about the plants and how the scent is extracted. Learn about the chemotypes of the essential oils, about the plants and how they change in relation to their terroir – revel in the ecology of your natural surroundings. Take courses, read books, learn from others and learn the seasons, the therapeutics, and the history. Learn the look of plants, master the language of the plants, and learn the environmental impact of your use of plants and their essence. I have always tried to help students realize their full potential, helping them focus on what they wanted to achieve and to educate them in what they are trying to accomplish. I believe that education in all things is very important and I believe in the power of knowledge through disciplined reading. “The answers are right there if only people would read!” I work all the time to teach others about the power of essential oils, hydrosols, herbs, and now Natural Botanical Perfumery. My best Seminars are always held right in my own home, “The Home of 1,000 Aromatic Mysteries” as Bella says. I try to live and breathe in what I believe – it isn’t just something I talk about when teaching a class or writing a book. When you walk into my house it is evident that I use what I write about as the entire house has become saturated with years of herbal and scented living and aromatic perfumery. I am very concerned that most herbalists and aromatherapists do not have much experience with plants or botany. I am not sure why people calling themselves herbalists and aromatherapists are so reluctant to learn botany; it truly is interesting. There are too many airy-fairy practitioners out there with no desire to learn the science and the botany. I would like people using aromatic therapy to also know the plants. After all, the plant, the hydrosol, and the essential oils – together — make the most powerful therapeutic and helpful substance for physical and emotional healing. Start with only a few plants. Grow them, learn to use them in a few simple recipes and slowly increase your repertoire by adding a new herb to the garden each year. The biggest mistake people make when they are trying to start up their own practice and/or natural body care company is trying to reinvent the wheel, and not doing their homework first to find out what is already out there. They should take a basic business class to find out how to do business and how to keep accounts, and they must also remember to include the cost of producing the product in their pricing structure – that includes gas, electricity, and water. Many people who work at home under-price their product because they neglect these simple costs – so when they move out of the home and into the business community to try to continue making their product they lose money. Think ahead. In my blending and herbal classes I give a simple mathematical exercise for people who fear mathematics – you have to know how to adjust measurements from ounces to pounds from grams to ounces, etc. to make consistent products. I would also encourage people to trademark and copyright their ideas. For instance, in 1969 I made a fabulous medicinal oil that I called “Bruise Juice.” I made it in the classes I taught, and wrote about it in my book Herbs & Things. Now there are other people calling their product Bruise Juice and in the past 40 years, many of them have learned about it from me. I sure wish that I had copyrighted and trademarked that name. Also, The World of Aromatherapy is the title of the book that I edited, and I gave that name to the first National Association for Holistic Aromatherapy (NAHA) Conference that I organized in 1996 at the Palace Hotel here in San Francisco. The title was my idea and now I wish I had a website, etc. – it’s a great name and the book is still available. Consider the impact of working but not investing. Save money for your old age. Even now that I am older, I am still working and have no retirement. All self-employed people should heed these words and save now – as much and more than possible. Learn about stocks, bonds and annuities – learn about savings plans. There might be no one left but yourself to take care of you and your financial needs when you are past menopause. This may not be what you expected to hear, but it is some words of advice that I know are important and I do not think enough people consider this aspect of life. I heard these words myself and chose to ignore them. I hope people will continue wanting to learn about plants through good critical reading, studying, and learning. Being interested in actually learning about the plants is a critical part of herbal medicine – learn the plants, use them yourself, and you will also learn their therapy and the best ways to integrate them together. I think that the more people learn the more they will become responsible and educated about the environment and realize that ‘nature’ provides. This is the earth-driven web of life. I wish I had a lifetime grant to teach, so that I could teach and not have to charge for it. My work is not done – there is still so much to do. You can learn more about my background here: Aromatherapy & Herbal Medicine.
. She has lived in San Francisco since 1967 and established a herbal/aromatic garden and study center. Becoming concerned about the environment and the production of aromatic plants, she organized the aromatherapy industry and a group, The Aromatic Plant Project, to support local and organic production of aromatic plants; to provide resources for growers and distillers; to ensure high quality aromatherapy products and to educate consumers as to the appropriate and beneficial uses of these aromatic products. and she has taught herbs, aromatherapy and distillation extensively throughout the U.S. She organized and was President of the first large Aromatherapy organization in the United States, NAHA, and speaks widely at many other events and conferences. She teaches distillation techniques for quality essential oils throughout various parts of the world. The word, hydrosol as used for the waters of distillation, was first used and put in place by Jeanne Rose in 1990. Herbs and things was my first introduction to the marvelous healing powers of herbs as medicine. I have read all of her Herbal Studies correspondence course and it is full of fabulous information. The knowledge shared by Jeanne has undoubtedly bettered the life of my family and many friends. Thank you Jeanne Rose. 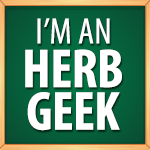 The “Herbal Body Book” was one of my very first herbals, and it inspired me to become an herbalist. It also inspired some of my teachers as well. Featuring this article here has definitely been a full circle moment for me. I especially appreciate Jeanne Rose’s tips on developing business skills – I can’t overemphasize how important this is!! Thank-you for sharing Jeanne Rose. Wonderful words from a wise herbalist. I can relate closely to much of what Jeanne says, and had many of the same experiences. After leaving our rural hometown to pursue college, my long-time boyfriend and I are back in the countryside and exploring the dirt and the power of seed with our very own acre garden. My father farms conventionally and we all know that is not a sustainable practice. I purchased my first essential oils kit and have been learning as much as possible about where those oils were derived from (ethics are huge). I agree with you, most do not see from dirt-level. We can learn so much from the seeds, as they germinate into fragile seedlings and finally, into the strong plants that they were meant to be. Thank you for your wisdom. Your words will be with me on my journey.